Migration in the age of information technology has become a matter of trade and commerce. People migrate not out of whim or to afford “better” things in life but as a means of survival. On many occasions, migration carries a woman’s face. Indeed while the 20th century ushered a kind of development that has transformed the world into one global village, it is not without dreadful consequences. Transborder transfer of capital to less developed countries (LDCs) has not improved the lives of the improvised majority. Countries mired in foreign debt are then pressured into adopting a policy of exporting millions of workers to stem the tide of massive unemployment and to bail out the local economy from complete bankruptcy. Women too, are joining the workforce, not as a result of policies promoting gender equity but often as a measure to support their families. Migration has become a necessity rather than as a matter of choice. Migrant workers generally take up jobs known as 3Ds (Dirty, Demeaning and Dangerous) which nationals of labor-receiving countries shun. In the course of employment, they are often subjected to contract violations, abuse and exploitation. Migrant workers also experience subtle and overt acts of discrimination and xenophobia based on the intersection of race, class, gender and religious beliefs. The vicious cycle of dehumanization rolls along the path of migration. 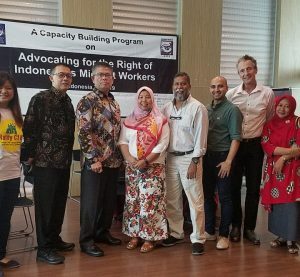 The 20th century calls for a meaningful change which has come to be enshrined in the 1990 UN Convention on “The Protection of All Migrant Workers and Members of Their Families,” which came into force as international law on the 1st of July 2003. 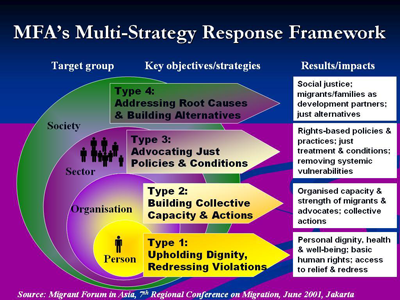 In advocating for change, the Migrant Forum in Asia (MFA) is committed to a process of social, political, cultural and economic development that responds to the promotion and protection of the rights of migrant workers and members of their families. Conceived in 1990 in a meeting of migrant workers’ advocates in Hong Kong, Special Administrative Region of China, MFA was formally organized in 1994 in a forum held in Taiwan, Province of China entitled, “Living and Working Together with Migrants in Asia”. MFA acts as a facilitator, a regional communication and coordination point between member-organizations and advocates, forging concerted action to address discriminatory laws and policies, violence against women migrants, unjust living conditions, unemployment in the homeland and other issues affecting migrant workers. The General Forum (GF), composed of all members, is the highest decision and policy–making body of MFA. It convenes at least once every two years in a General Assembly. The Executive Committee (EC) is composed of the following: two representatives from each sub-region, one each from regional organizations and the Secretariat. Representatives to the EC are elected by their respective sub-regions in a General Assembly and are confirmed by the General Forum. The EC acts as a central executive body of the organization and oversees the operation of the Secretariat. A Supervisory Group (SG) , composed of representatives of MFA member organization in the country where the Secretariat is located, provides logistical and other assistance to the Secretariat. Different Task Forces (TF) are also created by MFA to handle specific issues, tasks or concerns. Membership is open to various migrant workers’ organizations, support groups, unions, migrant savings groups, churches, national networks, regional organizations, non-government organizations and other similar institutions based in Asia that address migrant workers’ issues, and adhere to MFA principles and terms of reference. Individual advocates maybe admitted as non-voting members. Migrant-oriented groups based outside of Asia maybe considered as “working partners”. Application for membership is coursed through the Secretariat. Intensify education and organizing work among migrants to challenge globalization, and help develop initiatives by migrants. Help create alternative sustainable economic models, processes and practices for migrants. Broaden and strengthen our alliances and solidarity among networks, organizations and groups working for migrants’ issues, cutting across classes, sectors and nationalities. 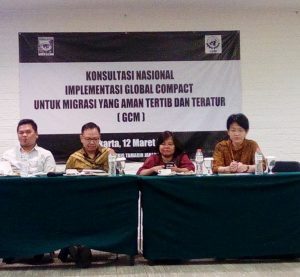 Launch coordinated initiatives and actions to build and strengthen popular movements and political momentum to promote a migrant agenda that shall include lobbying, petition, mass actions in the national, regional and/or international arena.